This Greece and the Eastern Kingdoms expansion features 21 scenarios. Now you can command the armies of Philip, Alexander and the Successors as you meet the hosts of Persians, Scythians and Indians to the east. 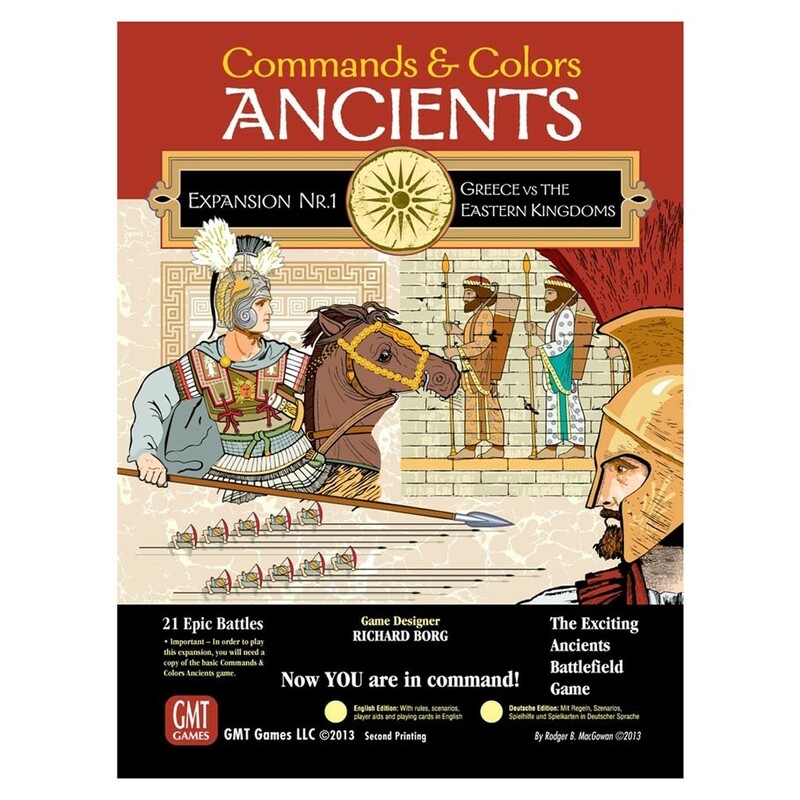 In this expansion, you will find historical scenarios that focus on the hoplites of classical Greece fighting off the invading Persian army at Marathon and Plataea; epic battles from the Peloponnesian War, the rise of Macedon and Alexander's battles of Gaugamela, Issus and Granicus against the Persians; and battles involving Alexander's successors. With your Greeks you will be able to turn west and battle the Carthaginians in Sicily, or as King Pyrrhus at Heraclea and Ausculum, battle the Romans. Rules-wise, if you are familiar with Commands & Colors: Ancients, you'll have no trouble at all learning the special rules for this expansion, for the basic game mechanics remain unchanged. Battle dice still resolve combat quickly and the Command cards provide an element of luck that creates a fog of war and presents players with both challenges and opportunities for victory.